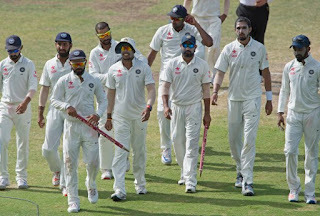 The BCCI retained the same India cricket team squad that had featured in the Bangladesh Test in Hyderabad. Rohit Sharma and Amit Mishra were not considered for selection. Relive all highlights of the selection meeting here. 13:47 hrs IST: Rohit Sharma will get a chance to prove his fitness for the Tests in Ranchi and Dharamsala as he plays the Vijay Hazare Trophy for Mumbai. Mohammed Shami and Amit Mishra will also get a chance to showcase their fitness. 13:24 hrs IST: No major surprises in the Indian squad. Karun Nair and Jayant Yadav along with Kuldeep Yadav and Abhinav Mukund retained. No Rohit Sharma or Amit Mishra. 13:13 hrs IST: Steven Smith and the Australian cricket team had their first media interaction and he said that they had no specific gameplan to stop Virat Kohli. 12:52 hrs IST: In the 2013 series, Ashwin picked up 29 wickets while Ravindra Jadeja picked up 24 wickets. With Ashwin and Jadeja in prime form this time around, the task does not get any easier for Australia. 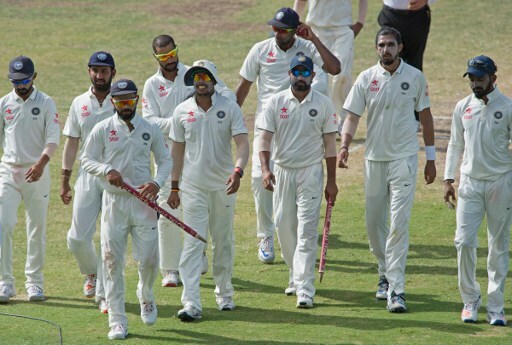 12:40 hrs IST: India are going to play three out of the four Tests against Australia in new venues. Pune, Dharamsala and Ranchi have hosted ODIs and T20Is but never Tests. In the England series, Rajkot was the new Test venue while for New Zealand, Indore was a new Test venue. 12:33 hrs IST: What will be the composition of the Indian attack for the Australia series? Will they pack their line-up with spinners or maintain the three pacers two spinners composition which they did in the Bangladesh Test? 12:14 hrs IST: With a settled middle order and with a settled bowling combination, the onus is on the top. While Murali Vijay has been consistent, KL Rahul has experienced peaks and troughs. 12:05 hrs IST: According to early reports, the team selected might not have any major changes. Perhaps, Mohammed Shami will come back but he has not had many opportunities to prove his fitness. 12:01 hrs IST: Will Rohit Sharma get a surprise call to the Test team? Considering he has not played much cricket since injury, he might get a nod for the last two Tests should he perform well in the Vijay Hazare Trophy. 11:52 hrs IST: The selectors are meeting at noon to decide the squad for the upcoming four-Test series against Australia. The first Test will begin in Pune on February 23. The selection committee, headed by MSK Prasad, will meet in the BCCI office at noon and chances are that it will announce the retention of the entire Hyderabad squad. At least for the first two Tests against Australia – in Pune from February 23 and in Bangalore from March 4. However, there is one case for the committee which should make their travelling to Mumbai worthwhile. They will need to apply their minds over the right time to recall Rohit Sharma into the squad. Rohit’s plan is to play the domestic one-day matches, the Vijay Hazare Trophy, from February 25 in Chennai to prove his fitness.Mumbai play three back-to-back matches on Feb 25, 26 and 27, against Gujarat, Rajasthan and Madhya Pradesh, which will be as good as playing a three-day first-class game. If everything goes well and the selectors are convinced, then Rohit will be available for the second Test. Virat Kohli’s Indian team has a settled composition and have dominated the home season. Kohli has not lost a single Test in 2016 and has not tasted defeat at home yet. India have not tasted defeat in a home Test for 20 matches while Kohli has not suffered a loss for 19 Tests since the loss in Galle to Sri Lanka in 2015.